Considering the demand for lab coats for students we at RSM Uniforms now stock the lab coats in white color both in half and full sleeves in five different sizes of S, M, L, XL and XXL made out of terry cotton material. 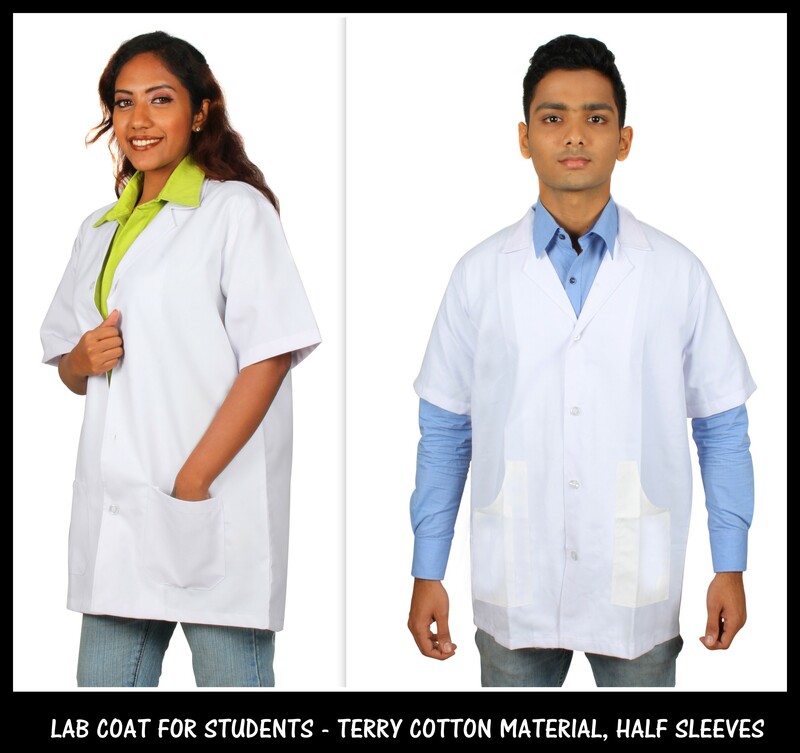 The terry cotton material is durable and easy to wash and we stock the lab coats for students in all the sizes at our store in Chennai. Kindly note that RSM uniforms doesn’t have any branches and can be reached through our customer care number – 9176 634 635. We would be glad to help you.